Need Glasses? Stop in at VisionWorks! VisionWorks at Six Corners, 4100 N. Cicero Ave., is having a limited time sale! Get 2 pairs of single vision glasses for $59 or 2 pairs of progressive glasses for $99! Store Manager, Jordan Myers and his awesome team are waiting to help you save some money! Offer ends April 20th! 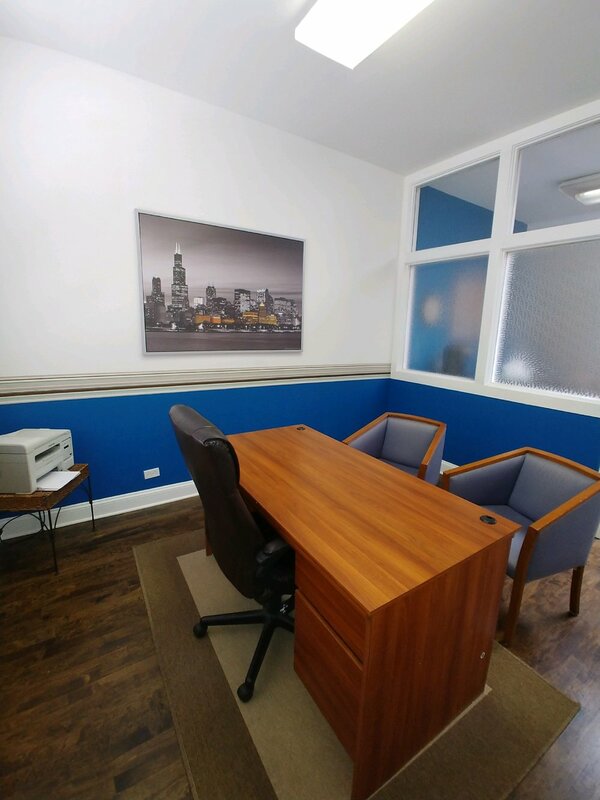 A tenant is needed at 4018 N. Milwaukee Ave., Suite 208-B. 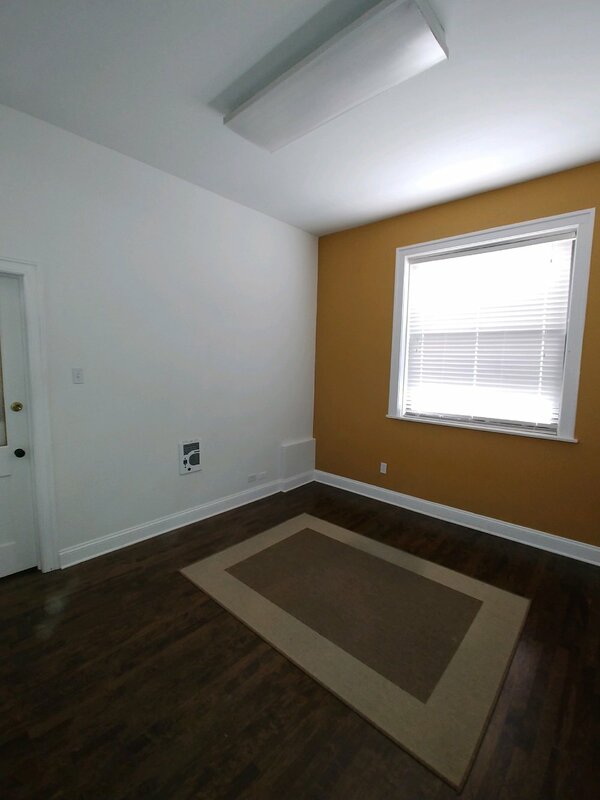 The office space is 10 ft. x 12 ft. and has a large window that emits lots of natural light. The wood floors don't hurt either! The monthly rent is $250 without furniture and $300 with it. 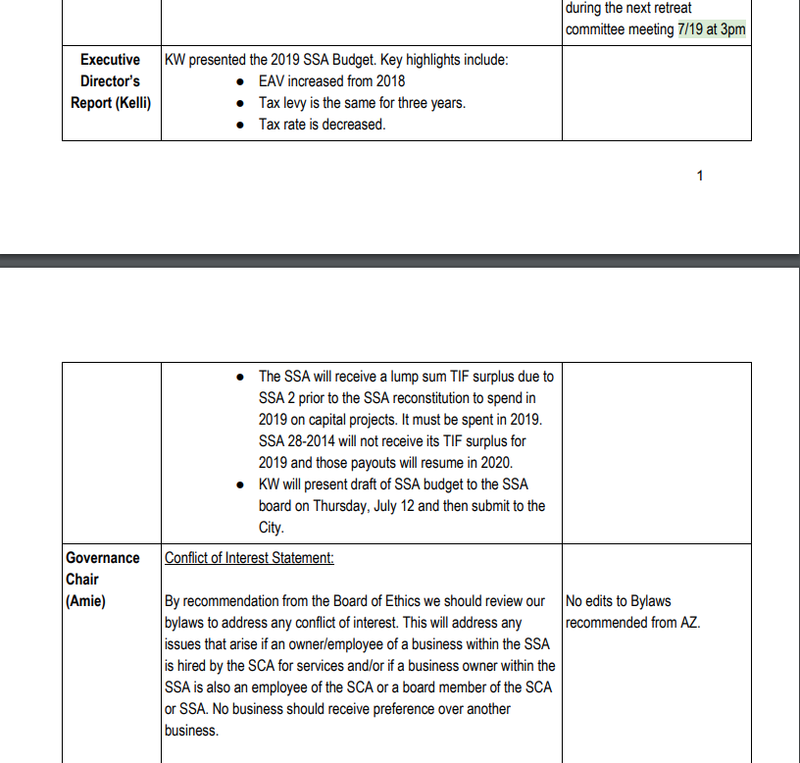 Utilities are split with adjourning Suite 208-A and the reception area is included in the rent price. For more information, contact Myrna with MSM Realty Group at 773-614-7644. Joe together with his wife Melissa Basilone have made a name for themselves on the Northwest Side as the owner/operators of several popular gathering places: Thrift & Thrive, Sputnik Books and Records, and Perkolator Coffee. These businesses have one thing in common: they are passion based. The couple lives in the Portage Park neighborhood with their two children. Joe appreciates that they can live and work in a small radius and be truly immersed in the community. Joe is originally from Nyack, about 20 miles north of New York City. Melissa hails from New Mexico. The two met in Gainesville, Florida, in the late 90s, where Joe had opened up… what else? A coffeehouse. Joe has a long history in coffee, working for many years in retail for Intelligentsia and then Caribou Coffee before starting up his own ventures. He and Melissa left Florida in 2001 and first lived in Chicago’s Ukrainian Village before making their way to the Northwest Side. Frequent trips to Jefferson Park’s Sicilia Bakery introduced them to the area and in 2008, the Basilones moved to their current home in Portage Park and set down roots. In 2011, the couple joined that business community, launching Thrift & Thrive, inspired by their personal interests and upbringing. Melissa also loved thrift store hunting while growing up in New Mexico. Joe was raised by his mom and grandparents and has fond memories of thrift-store shopping with his grandma, ‘Nan’ Wanda Hennessey, now aged 93. “Nan was a frugal woman but on these days, there was no spending limit. We’d spend $15 and I’d come home with a brand new wardrobe. I have always felt that I was born a generation or two late. Part of that is growing up with grandparents and parents who always spoke about the 'good ol' days,' and that is definitely reflected in my taste in music and of course, how we decorate our businesses. We want to give people the neighborhood they reminisce about having, or always wanted to have." Thrift & Thrive was also inspired by the stark contrast Joe couldn’t help but notice here in Portage Park. While many other thrift stores are backed by large national nonprofits, Thrift & Thrive is uniquely local. In 2014, Joe and Melissa launched Perkolator, a coffeeshop serving up much more than coffee. They have a full breakfast and lunch menu, and all the snacks and caffeine needed for in between. Walk in on most days and you will find the place busy and bustling. Adjoining the coffeehouse is Sputnik Records and Books, which sells lightly used reading and listening pleasures perfect to go along with your cup of joe. Until recently the couple also owned and operated a fourth business, Charley Noble, a unique sandwich shop that closed in late 2018 after a whirlwind year. Earlier that year, Melissa was diagnosed with breast cancer. Charley Noble as a fledgling business was doing well, but the stress of running four businesses, raising two kids (now age 8 and 13), and chemo was too much for anyone to balance. The Basilones are using 2019 as a time to regroup. Joe also knows there’s always room for improvement. Joe mentions that joining one of our many neighborhood groups is a great place to start, such as the Portage Park Neighborhood Association or Jefferson Park Forward, among others. Seritage Growth Properties and Tucker Development continues their collective effort to design a proposal for the former Sears location at Six Corners. Since the initial community discussion late last year, they’ve been in contact with Alderman Arena’s Office and the Six Corners Association to keep us apprised of their progress and their efforts to incorporate community feedback into their design. While no formal proposal is yet available, we look forward to sharing additional information as further progress is made at this location. The Point, 4747 W. Irving Park Rd. The senior living component at the Point at Six Corners development proposal has changed since the community meeting this past summer. Based on community feedback and guidance from Alderman Arena, Ryan Companies reduced the total number of units and modified the unit mix to include more independent living units and less assisted living units. The total project size will decrease from 265 units to 248 units, and the affordable housing will increase by two units. The evolution of the unit mix has been in response to community concerns about economic impact, and they believe this final unit mix addresses those concerns. The grocer-anchored retail component remains unchanged, and Clark Street Real Estate is finalizing plans with Aldi, consistent with the design and site configuration presenting to the community this past summer. In addition, Ryan continues to have conversations with several key community stakeholders including Six Corners Association's Design Committee to gain input to public spaces, amenities, bike and pedestrian safety, public art and place-making as well as the Northwest Portage Walking Museum and the Chicago Public Art Group to consider opportunities for collaboration. Ryan and Clark Street have filed their Planned Development amendment application with the city and expect to be on the January 24th meeting of the Plan Commission. Winners of the 2018 Best of Six Corners Awards, pictured at the opening night of Crossing Six Corners at the Filament Theatre on October 19, 2018. 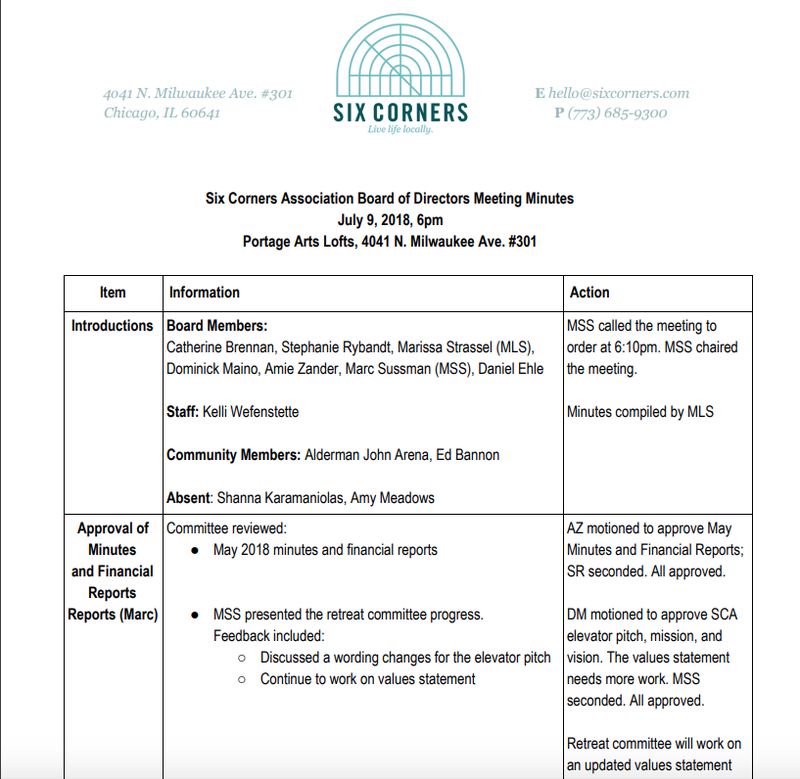 Six Corners Association is a community economic development non-profit that fosters the development of a thriving commercial district and follows the National Main Street Approach to Community Revitalization. This centers around Transformation Strategies which are articulated, focused, deliberate paths to strengthening a commercial district's economy. These strategies are organized around the four points of Economic Vitality, Design, Promotion, and Organization. 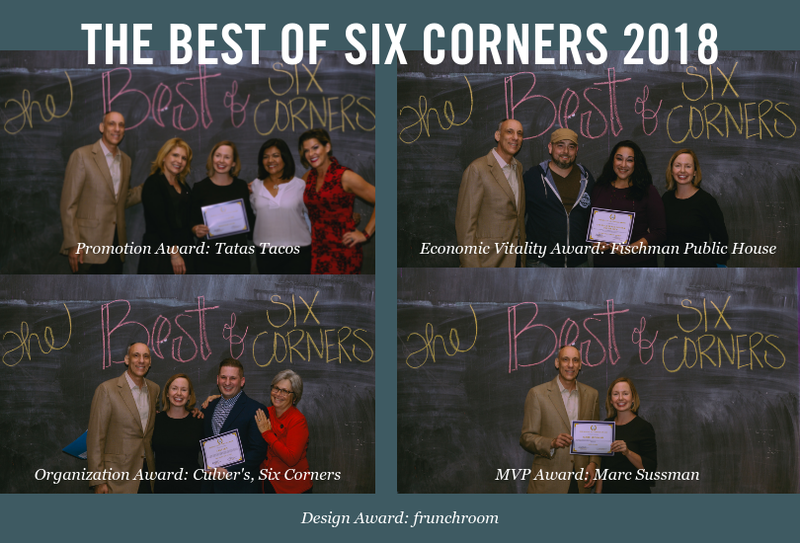 For The Best of Six Corners Awards 2018, Six Corners Association recognized four businesses who were nominated by their peers for exhibiting excellence across these four points. Additionally, a Six Corners 'MVP' was chosen. The 2018 Six Corners Design Award is presented to a business or property at Six Corners that exhibits excellence in facade design, visual merchandising, overall curb appeal, and/or a new and improved look. From its clever name play on Chicago’s linguistic history to its cohesive design, color, and branding, this business transformed a long-empty storefront into a quaint yet modern take on a classic urban deli offering an expansive mix and match menu made from scratch. Walking through the front door feels like coming home. 4929 W. Irving Park Rd. The 2018 Six Corners Promotion Award is presented to a business or property at Six Corners that exhibits excellence and imagination in promotion, marketing, special events, social media, and elevating the profile of the Six Corners Shopping District. To take a dark stretch of sidewalk and turn it into a vibrant, lively corridor is no small feat, but the owners of this business have spun every difficulty and challenge into a cheeky marketing opportunity making many “amigos” along the way. The 2018 Six Corners Economic Vitality Award is presented to a business or property at Six Corners that exhibits excellence in the redevelopment of the commercial district through a successful build out or remodel, new opening or reopening of a business, rehab of a building or exceptional dedication by a property owner. Fischman's deserves acknowledgment for their perseverance alone. The signing of their lease propelled an 8-storefront building with 7 vacancies to full capacity. 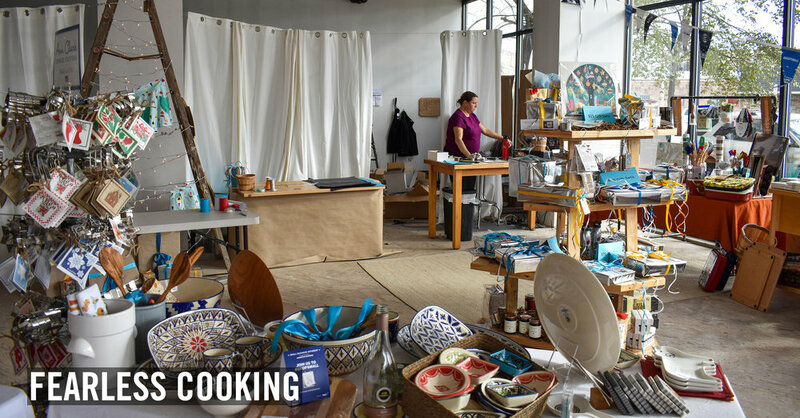 They took on a project of epic proportions by rehabbing and redesigning four storefronts while completely redeveloping a family business. 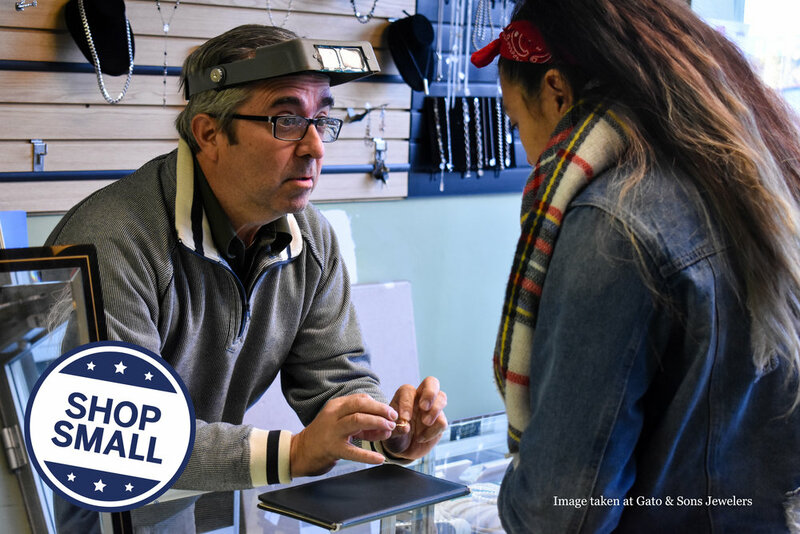 Their story is our story and speaks to the importance of keeping locally-owned businesses in our neighborhood and the efforts that we employ to ensure they will always have a place here. 4939 W. Irving Park Rd. The 2018 Six Corners Organization award is presented to a business or property at Six Corners that exhibits excellence in community character, has demonstrated a significant contribution to the Six Corners Shopping District, and goes above and beyond in their dedication and enthusiasm to helping better the neighborhood. James Suh, Owner of Car Care Auto Spa at 3618 N. Cicero, recently celebrated two years of business in Portage Park this past June. They offer $3 off Early Bird Specials M-Th from 8-10am and $3 off on Tuesdays for Ladies Day. For more info, click here. The Yoga Shop things a bit differently. Hard-core yogis will love their challenging classes and thrive in cutting-edge workshops. Newbies will discover yoga in an accessible, nurturing environment. They are fun, non-snooty, and welcoming, regardless of ability or background. Most of all, they are about community. Their studio will be a place to gather and practice warm yoga, gentle yoga and Yoga for Back Care, Yoga Barre, Power Vinyasa, and tons more, even Sunday Ladies Night! All in an inviting space with bamboo floors and abundant natural light. They have been told that they have the best crew of instructors in town. The wait is over! Fischman Public House & Bottle Shop will open its doors to its new home at 4060 N. Milwaukee on July 5th at 4pm! Six Corners Association launched Social after Six, a monthly pop-up event series, in 2016 as a placemaking effort under Main Street America's mantra of "light, quick, easy." Due to its overwhelming success and how much fun we keep having, we continue this series in direct collaboration with our businesses! To date, we've played board games in a theater, thrown axes, practiced yoga on a city street and in an empty ball room, learned to make Chicago-style hot dogs, tasted wine, made soap, drank cider, tried glow-in-the-dark zumba, and now danced Bachata! On June 28th, SCA partnered with Tatas Tacos for a Social after Six: Bachata + Horchata event. Cari Bermudez, an instructor with Fly Girl Dance & Fitness, led attendees in a bachata dance lesson on the southern sidewalk of Irving Park Rd. then everyone was invited to stay and keep dancing while enjoying delicious, fresh homemade horchata from Tatas. 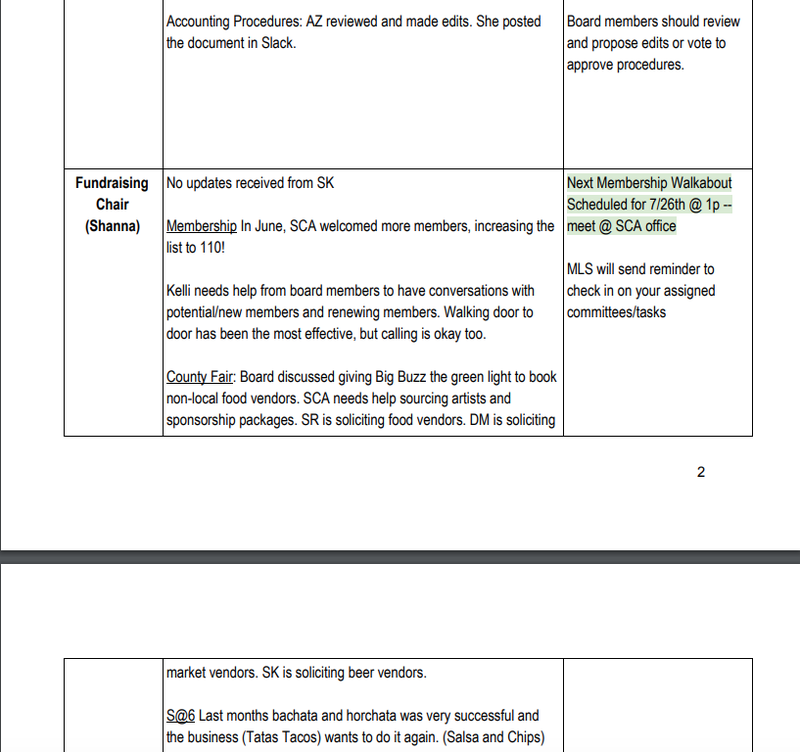 Thank you to all who attended for supporting these two local, independently-owned (by neighborhood residents) businesses and SCA! Also thanks to everyone who stopped to dance, take pictures, and videotape the event. Remember to tag us on instagram @sixcornerschicago or on facebook! If you or someone you know is looking for full time employment plus benefits, consider applying for the Front Desk Leader position at VIP Dental Lounge at 5120 W Irving Park Road. Training will be provided and a friendly personality is a must! For more info click here. 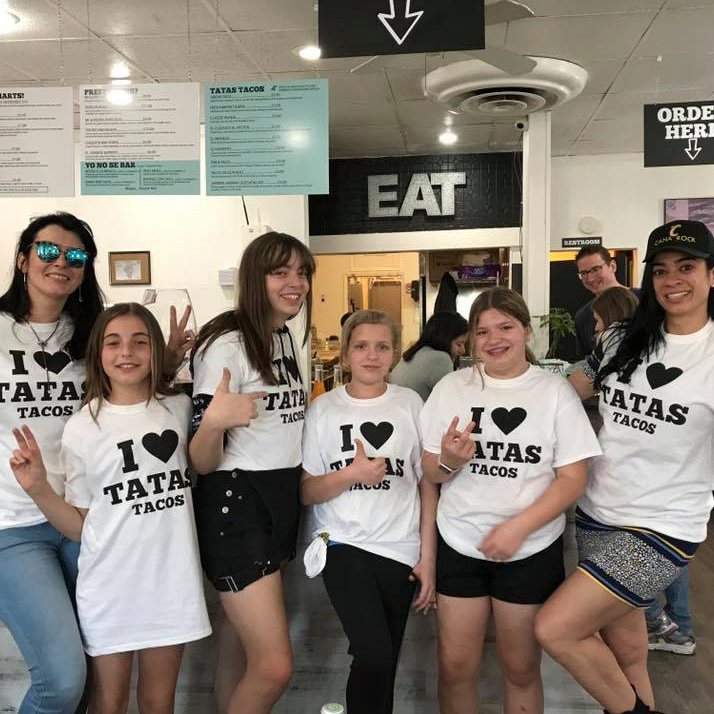 Tatas Tacos, located at 4929 W Irving Park Rd., is looking to hire motivated and costumer service oriented people for their morning shift, 9am-2pm. Applicants must love tacos and taco accessories! Looking for a new spot for brunch? Check out Shilas! This neighborhood gem has soon of the best breakfast food! Their most recommended items are their chilaquiles and hang over skillet! Their menu includes a kids menu!